Could you imagine having to give up your beloved pet because you couldn't afford to spay or neuter it? Sadly, in underserved communities in and around the greater Los Angeles area, the biggest obstacles to spaying and neutering pets - which is critical to preventing animal homelessness, suffering, and unnecessary euthanasia - come down primarily to issues of economics and geography. These neighborhoods are often "resource deserts," where pet-friendly resources are difficult to find, hard to reach, and often unaffordable. As a result, many families find themselves having to choose between paying for preventive pet care and paying the rent. But if keeping animals alive, out of shelters, and in homes are top goals, then helping owners achieve them should be a top focus. That means putting our best efforts inside the communities that desperately need them, providing accessible and affordable resources, and engaging residents directly. This is what Spay Day, Feb. 24, is all about. But to be successful, we have to maintain this level of commitment every day. 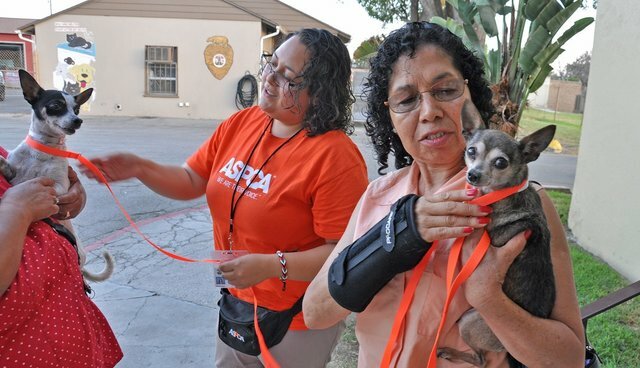 Last year, with the help of our local partners in the animal rescue and sheltering community, we opened a spay/neuter clinic in South L.A. to significantly expand access to fully-subsidized spay/neuter surgery in the area. To date, we've performed more than 4,000 subsidized spay/neuter surgeries for pets at our Chesterfield Square facility. Meanwhile, our "safety net" program in partnership with Los Angeles County has arranged for over 700 spay/neuter surgeries for pets at risk of being relinquished to the Baldwin Park and Downey shelters, subsidized in part by funding from the Los Angeles County Animal Care Foundation. We've also distributed more than $1.3 million in grants to L.A.-based animal welfare organizations and partners including Downtown Dog Rescue, which holds regular spay/neuter events in Compton; and The Amanda Foundation, which rescues hard-to-adopt animals from L.A. City and County shelters and operates a "spaymobile" throughout the city. Clearly, when you help pet owners, you help pets, and when you're helping pets, you're helping people. That understanding is evident in the personal stories we come across in these communities. One example from last July involved two sisters who brought their beloved dogs to the Downey shelter to surrender them. They told our safety net manager they couldn't afford to license or sterilize their animals, nor the fines they'd face for not doing so. Instead of depositing these animals into an already-challenged shelter system, we helped subsidize their fees and sterilized the dogs through a voucher program. This enabled the sisters to keep their dogs, who are now in the safest place they could be. Pet homelessness is a problem that calls out for compassionate and targeted solutions. With about 7.5 million companion animals entering shelters across the country each year, and nearly half that number never coming out, it's critical we focus on making preventive services accessible and available for families - including pets - who need them most.